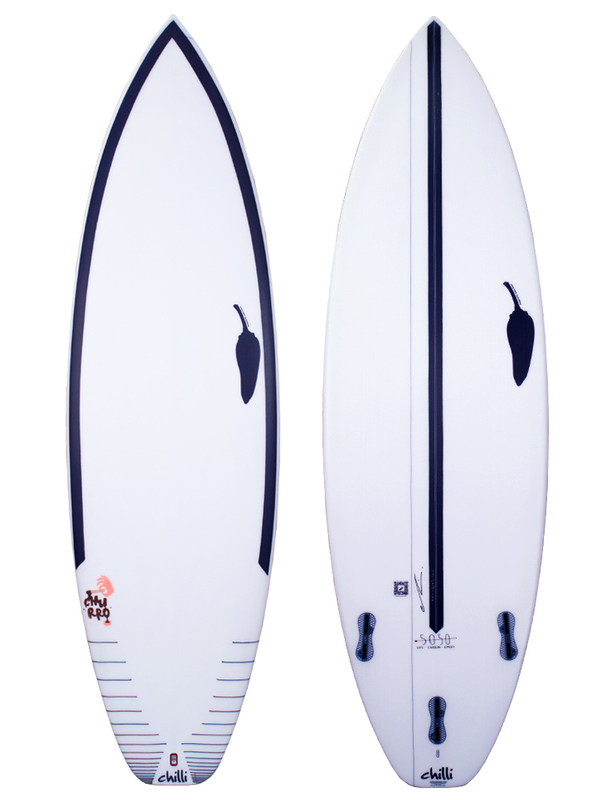 The Chilli Churro surfboard is a shortboard that caters to surfing smaller waves. 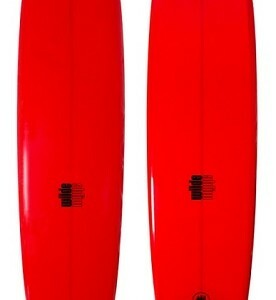 This is an amazing surfboard for the surfer that only wants to ride a shortboard style surfboard. 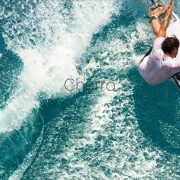 The Churro features a wider outline, a flatter rocker, & a very generous sweet spot. Carbon Fibre Frame a parabolic carbon frame on the deck and linear carbon stringers on the bottom is designed to provide a controlled flex pattern! 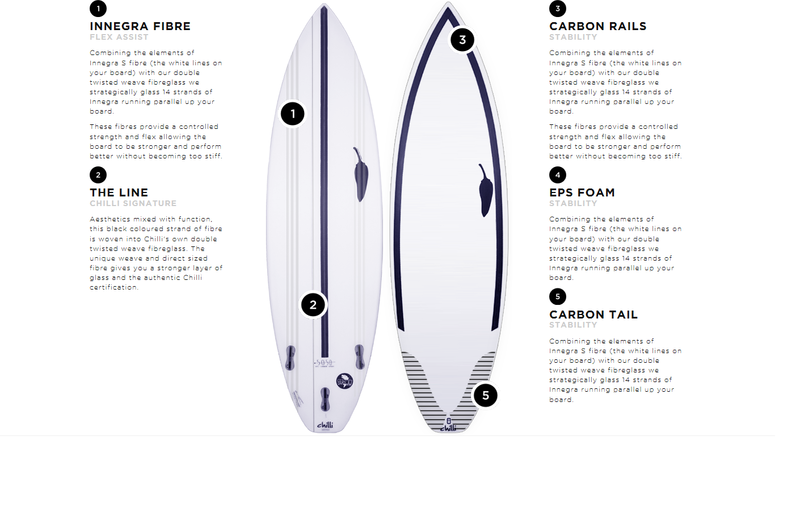 We’ve designed our own special weave of new technology, using four-ounce fibreglass and Innegra S Cloth for strength. Innegra S Cloth is white in colour, lightweight, and a strengthening fibre that still has a natural flex (unlike carbon fibre which, stiffens things). When the board is under immense pressure, the Innegra S Cloth allows it to flex to a point where it would normally break or crease, but then flex back out, preventing a crease or breakage. We’ve run six strands of Innegra S fibre woven into the cloth on each side of the board, straight up from the side fin boxes. Two more strands up the stringer make 14 strands total. This is the perfect amount of strength vs flex. We tried and tested this a lot with team rider Jay Davies. Jay is 6’1 and 90kg of raw strength, known for being very tough on his boards. After using Innegra S Cloth we’ve reduced his breakages by 80 percent. Whether it’s our FUTURES-produced legrope plug, our Colan Products Carbon weave, our QR identification codes or the signature Line, we’ve refused to equip our boards with anything but the most finely-sourced assets.